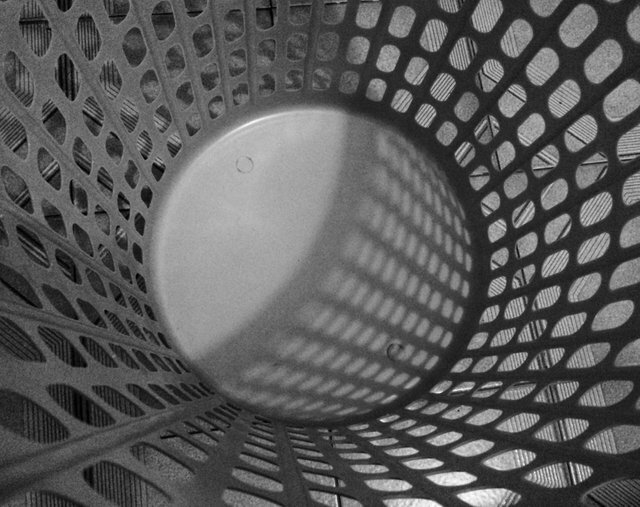 Finally, the laundry basket is empty! I can't skip a week... I use too much clothes! I can't stand using the same clothes, I like to wear clean clothes everyday... the same with the pijamas... wearing the same pijamas twice?! Hell no! There's a certain happy feeling that only clean clothes give and I will stick to that happy feeling! So basically I spend 3 hours doing laundry, folding clothes and putting them where they belong. That's an elaborated process! First you have to separate clothes by colors and fabrics... believe me, you don't wanna wash cotton with another type of fabric! Then hanging the wet clothes if you don't have a dryer... Its like a Tetris game with wet clothes! Then picking dry clothes, Ah! The beauty of living at the Caribbean with hot weather that dries clothes quickly! The folding is important too cause... ok, I'm an organized person, even my messes are organized ha! In all that laundryness... just made that word 😅 I had 10k moves! See? Doing laundry burn fat too! Ha! Just last night my friend finished repairing my dryer and I re-ran the water lines to the washer... I did ALL my laundry last night!! Oh, the happiness of clean clothes!! Good job!! It doesn't take long at my house before it's heaping over again, especially in the wintertime when all the clothes are bulkier! 🎁 Hi @blacklux! You have received 0.1 STEEM tip from @melinda010100! Clean clothes are the best! @blacklux laundry was on my to do list today, but I never got around to it, so no worries I know it will still be there tomorrow, just more of it. I too love an empty laundry basket. I think you would be horrified at the state of my clothes though. I am always dirty! but that's because you get to play with cute goats and doggies all day long!! Oh yeah! Let's blame them! Hahahaha! Wuau friend, I congratulate you !!! I tried today and I could not, sad my reality. Ah perate, que se llevaron a hora? No me digas que se llevaron el agua? Carla me dijo que la otra vez se llevaron el gas.... ustedes tienen que buscar la manera de sacar a ese energumeno del poder! You have accordingly been rewarded 71.375 AFIT tokens for your effort in reaching 10832 activity, as well as your user rank and report quality! You also received an 2.69% upvote via @actifit account. Your UA account score is currently 3.773 which ranks you at #4941 across all Steem accounts. Your rank has improved 1 places in the last three days (old rank 4942). In our last Algorithmic Curation Round, consisting of 246 contributions, your post is ranked at #45. Howdy blacklux! no one spends three hours a day doing laundry come on! You may need to see a Shrink about that condition. darn good number today though.